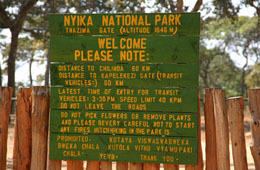 The Nyika Peace Park is the first trans-frontier area not linked to South Africa. The Peace Park links Malawi’s Vwaza Marsh Wildlife Reserve and Kasungu National Park with Zambia`s Lundazi, Mitenge and Mikuti Forest Reserves, Musa-langu Game Management Area and Lukusuzi National Park. The total surface area of this Peace Park will be more than 35 000 km2 or 7 million football fields. The goal is to establish collaborative management and the joint promotion of tourism in Malawi and Zambia. Nyika National Park lies on a 2600 metre high plateau above Lake Malawi and has witnessed the signing of one of the most far-reaching conservation initiatives yet seen in southern Africa. 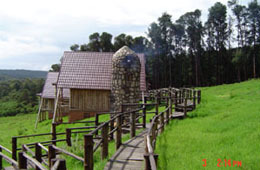 The park incorporates a huge diversity of ecological systems, including Afro-montane forest and grasslands, lowland woodland, marshes, miombo woodland and gallery forest. 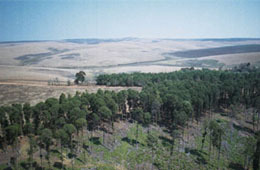 In August 2004 a Memorandum of Understanding (MoU) was signed in Nyika National Park. With this agreement, the Environment Ministers of Malawi and Zambia sealed one of the most far-reaching conservation initiatives yet seen in southern Africa. The agreements pave the way for the development of a Peace Park which will consolidate Malawi’s Nyika National Park and the Vwaza Marsh Wildlife Reserve. An immediate outcome of this agreement is that a wildlife law enforcement co-ordinator will be appointed within the next three months specifically for the Nyika Peace Park. The co-ordinator will assist the Malawi Department of National Parks and Wildlife and the Zambia Wildlife Authority to combat the high incidence of poaching in the Peace Park. After the signing of the MoU, the ministers went out to collar an elephant. The gameviewing is outstanding with a variety of the larger animals to be seen including zebra, elephants, roan, eland, bushbuck, reedbuck, warthog and leopard. Nyika is also known for its duiker, including the rare red duiker, but they do tend to be difficult to see. Nocturnal wildlife is also abundant in this park; honey badgers, bushpigs, servals, civets, genets and bushbabies along with the nightjars who take up their nightly position in the middle of the dusty roads using the open space as a hunting ground for insects. This wonderful park is also home to many exquisite bird species The most challenging birds to see are the forest birds such as the bar tailed trogon, moustached green tinkerbird, mountain greenbul and yellow-streaked bulbul, the starred robin and Cape batis as well as the white tailed crested flycatcher and the eastern double collared sunbird among others. It is also possible between October and January to see some of the migratory birds. 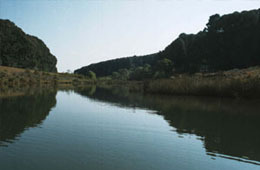 Chelinda Lodge and Chelinda Camp are situated in the centre of the park at 2100m. The lodge has an incredible panoramic view across the rolling hills whilst the camp overlooks a dam full of trout. The lodge is a 16-bed complex with log cabin style accommodation and is fully catered. The camp has three styles of accommodation; full board; camping and self-catering. Both the lodge and camp have electricity (generator) and water is safe to drink as it is pure mountain water pumped from the Chelinda River.